At Indian Accent, the contemporary Indian restaurant in Delhi, the much-awaited summer menu introduces us to an Indian version of Pla Eung Prik Manao. The Thai catfish with lime and ginger, steamed lightly in pandan leaves, is, of course, hugely popular globally. 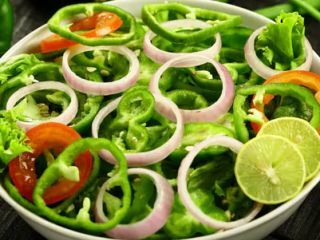 It is also a summer-appropriate dish that many of us have tried cooking at home, with or without the leaves. But the restaurant puts an interesting and Indian spin on to the dish. Instead of the lime dressing, Vivek Rana, executive chef, uses an equally tart and refreshing raw mango paste to flavour the fish. It is a marriage made in heaven. In India, where fish curries change character and names every few hundred kilometres depending on the souring agent being used, raw mango is an ingredient of choice of the Malabar belt. The Alleppey fish curry, for instance, uses the sourness of local mangoes, for its distinct flavour profile. But as you travel up the subcontinent, mango, as an ingredient, is commonly perceived as the quintessential, sweet summer fruit – ripe, plump, juicy, and sugary. Not tart, green and fruity. Like so much pertaining to the cuisines of the subcontinent, this is merely a stereotype. It is not just the Dussehri and the Langda that dominates our tables this season. Instead, raw kairi of indistinct pedigree has traditionally been the summer-chic ingredient of Ayurvedic-based kitchens all over the Indo-Gangetic plain for centuries. As one of the oldest trees of India, mango of course dominates religious iconography and common conversations alike in UP, Bihar, Bengal and Delhi (as also other parts of the country). But the ambi goes into much more than those auspicious and (now) fashionable motifs—or pickle jars for that matter. In eastern UP and Bihar, for instance, the best dal that is cooked this season is yellow pigeon pea (arhar) with raw mango slices boiled in it. The tartness is supposed to be therapeutic too. A “cooling” ingredient, according to Ayurveda and useful in preventing heat strokes, the mango has many other benefits: the vitamin C in it helps the body absorb iron better and thus it is a cure for anaemia, the dietary fibre cleanses the gut and is useful against stomach infections, the carbs in it help you gain weight (if that is what you want), plus the fruit has traditionally been seen as aiding a fairer complexion (!) and being a male aphrodisiac. I am not sure how much of these “benefits” our mothers think of when they cut the kairi into those tiny little pieces for a piquant achar, submerged in spice and oil, or indeed when they make that most refreshing of summer drinks, the mango panna. In my UP home, the panna is always a little tart, with sugar just taking the edge off, and full of flavours of mint and roasted cumin powder. In other parts of India, the panna acquires different flavours from being considerably sweeter to having green cardamom boiled in it. But raw mango as an ingredient is far more interesting than these common uses during the season. 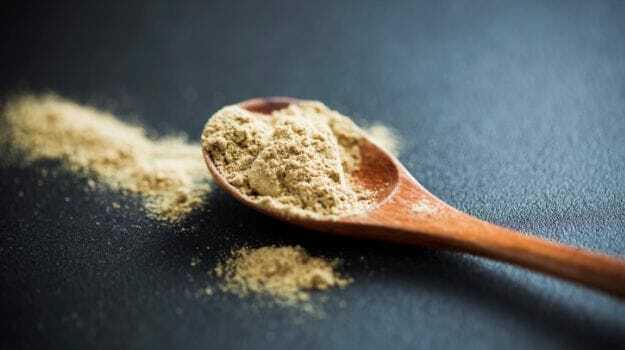 Amchoor as an Indian spice hardly gets talked about even though it may well be the most definitive summer spice in the subcontinent, as well as the most indigenous. 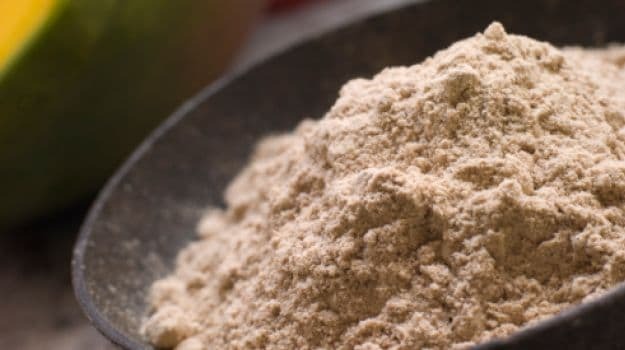 Basically a powder made from raw and sundried mangoes, this is an ingredient that has been traditionally used in north Indian kitchens to provide acidity to a dish. Unlike the coastal regions of the south, where raw mango has traditionally been used with fish and meats both as a tenderiser and a souring agent, amchoor, in the kitchens of the heartland, is primarily an ingredient used with everyday vegetarian dishes. 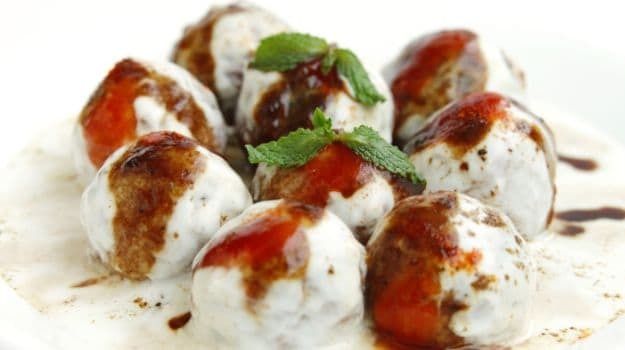 Meat dishes, many of them inspired by the Mughal kitchen and spin-offs in northern India, have typically used yoghurt (and later tomatoes) to provide the necessary sourness. For some reason, despite the blending of culinary traditions that we see in places like old Delhi, Lucknow, Rampur and so on, amchoor, so pervasive in this belt otherwise, never seems to have made that leap into the non-vegetarian repertoire. It is strange, because it is also a natural tenderiser, more powerful than kachri (made from wild berries) or lime and less heat-inducing than raw papaya. On the other hand, summer dishes of the Indo-Gangetic plain are replete with raw mango tanginess. 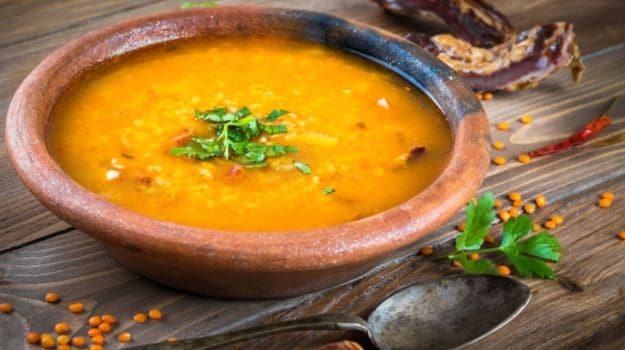 The most prevalent use, of course, is with the yellow arhar/tuvar dal, which can then be tempered lightly with a little cumin and a touch of asafoetida to give you the perfect lunch dish. The amchoor goes equally into those green chutneys made with fresh coriander and mint, giving you a burst of refreshing flavours (and also the perfect iron and Vitamin C combo) in summer, and those sweet-and-sour saunth chutneys that accompany most chaat items. Think of a soothing, yoghurt-laden dahi vadaor dahi papdi. You cannot think of these without a mandatory lashing of the sweet-and-sour saunth. Many chaatwallas, especially the chains who have made this a scalable retail business, now use imli ki chutney that has a similar flavour profile. Indeed tamarind has a far wider all-India presence than amchoor, so tamarind chutney is more prevalent as an accompaniment with everything from samosa to pakoda and, of course, chaat. But the original dahi vada or dahi pakodi of UP came with a simple home-made chutney — made from boiling a few teaspoons of amchoor, dried ginger powder and sugar and flavouring it with black rock salt. In my UP Kayastha home, summer is not complete without bharwan (stuffed) seasonal veggies: from okra to bitter gourd, bottle gourd, tinda (which has no equivalent in English because it is indigenous only to the subcontinent) and so on. All these greens are stuffed with a common spice mixture —fennel powder, salt and amchoor. What were the older guardians of taste thinking when they came up with this combo? 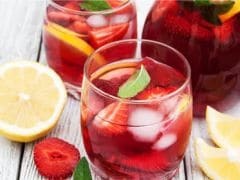 Was there conscious Ayurvedic knowledge at play, combining iron-rich green veggies with Vitamin C tartness to have more robust populations? Or was it just an instinctive flair for balancing powerful and cooling flavours without a lot of fuss? At any rate, sprinkle that bit of amchoor on your greens today. That is exactly how summer should taste.